Since its foundation in 1898, EBL (Genossenschaft Elektra Baselland), which is headquartered in Liestal, Switzerland, has been a leading energy supply company. Thanks to its business form as a cooperative, the company ensures close relationships with its customers, socially responsible activities and a sustainable financial policy. Each day, the company reliably supplies over 200,000 people with electricity, heat and telecommunications services. 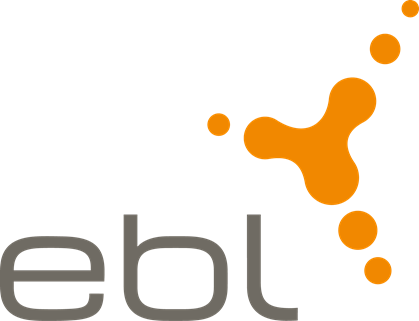 Around 350 people currently work for EBL, which generated sales of 226 million Swiss francs in 2017. EBL has been supporting energy production from renewable energies for decades and is actively committed towards an efficient use of energy, something which is becoming an increasingly valuable resource nowadays. In April 2011, the Board of Directors at EBL thus decided to gradually phase out its use of nuclear energy. Our goal is to be better than our competitors. With our pioneering spirit and strength as an innovator, we provide solutions in the fields of energy and telecommunications that improve the quality of life for everyone so that future generations may also benefit from a robust, healthy environment. We provide our customers with high-quality, sustainable services and products. Moreover, we have strong regional connections and also utilise national and international opportunities and partnerships to fulfil our vision. As an attractive employer in the Liestal region, EBL places an emphasis on a sustainable human resources policy. Our motivated and dedicated employees are the foundation for our success. The key focus of our corporate culture is the individual and their abilities. As a cooperative, we also welcome disabled employees wherever possible.